UNITED NATIONS, July 2 -- Hours after a pro-Serbian demonstrator was killed in Mitrovica in Northern Kososo, the UN in New York could not speak about the incident, or why its UNMIK peacekeepers had not been providing protection. Inner City Press asked UN Associate Spokesman Farhan Haq what the UN's role had been in the planning and protection of the opening of a Kosovo government office in Mitrovica. Haq said he would have to check with the UNMIK Mission. In relation to your questions on Kosovo at the Noon Briefing today, we're still awaiting some more information from colleagues at UNMIK, but in the meantime, I wanted to tell you that the UN condemns the violence which led to the loss of life and supports all efforts to find those responsible for the explosion. In addition, UNMIK and its office in Mitrovica will remain engaged with all communities to encourage pragmatic dialogue and help address their concerns. We'll see. 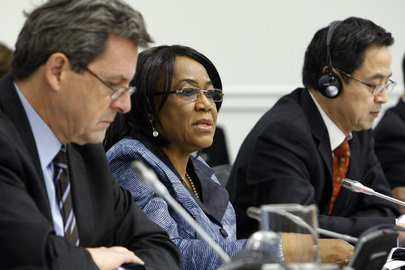 Inner City Press asked incoming Security Council president Joy Ogwu of Nigeria if the Council would take the matter up. Yes, she said, there will be a meeting on July 6, with the Department of Peacekeeping Operations briefing. High officials will come. But what will be accomplished? Inner City Press asked also Ambassador Ogwu about the access of the UN Spokesperson's office to Council consultations, about elections in Burundi and Guinea, and about the Lord's Resistance Army. She and her political coordinator asked two or three of the four questions, leaving the LRA off. Video here. On access, Nigeria's political coordinator said these are only interim rules, and vowed to work on the issue during the month. On elections, Ambassador Ogwu said the UN should learn from each situation, and referred several times to the planned referendum in Nigeria. On the LRA, she had no answer, like teh UN and the Council. And on Kosovo, we'll find on July 6. We'll be there, watch this site. 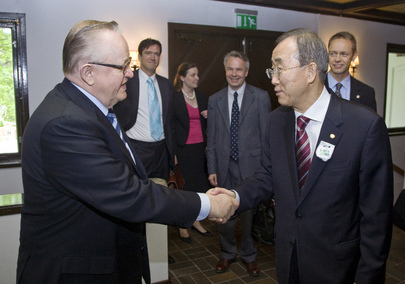 At UN, Ahtisaari Says Whatever ICJ Rules, Kosovo Is Independent, Rule of Law? UNITED NATIONS, June 22 -- The UN invited Martti Ahtisaari to speak in its new building on June 22. Inner City Press asked him for his views on the implementation of his plan for Kosovo, the legality of which is now being weighed in the International Court of Justice. Video here, from Minute 10:56. Ahtisaari expressed satisfaction that Kosovo has joined the International Monetary Fund and World Bank, saying that their funding will be necessary to mine "energy resources" and tackle unemployment. But in conclusion, Ahtisaari said it is important that "everyone understand that whatever happens in the international court, Kosovo is an independent state and will remain an independent state." What then is the purpose of the ICJ, its its possible ruling are dismissed in advance by one such as Martti Ahtisaari? One wonders what Serbia and Russia will think of this. After Ahtisaari's comments, the stakeout was declared over. 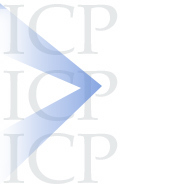 Ahtisaari and UN's Ban, first vs ICJ, latter vs. internal justice? Inner City Press: the Shabaan Shabaan USG case...how long do these appeals take? What’s the status of that appeal? 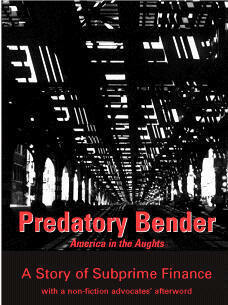 It was ordered that he pay $20,000 to this allegedly wronged… Has that money been put in escrow? How long, when does the UN anticipate a ruling on that appeal? Spokesperson: We don’t comment on individual cases. If you want to know precisely what the schedule is, you can ask the Registrar. 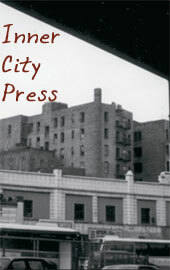 Inner City Press: And I wanted to know, because there is sort of growing, I guess, misunderstanding from your point of view, of the Secretary-General’s approach to the rule of law within the UN, this seems like a topic on which Patricia O’Brien might want to give a briefing, just to explain not individual cases, but what the thinking is. See, normally when judges have said, “Please bring documents,” I guess these articles are saying it’s kind of contemptuous not to provide the documents at all, and then to wait for a ruling, and then appeal it. Like it seems, and especially when there has been no decision on any of the appeals yet. So I am just wondering, this is a request that OLA, or Mr. Ban tomorrow, but that OLA explain how this is consistent with the rule of law to simply ignore judges’ orders to produce evidence. Spokesperson: There is one fundamental point here, that this was an initiative of the previous Secretary-General, and then it was further pushed by this Secretary-General. So to suggest that somehow the Secretary-General is ducking his responsibility is rather odd. As I have said, he is fully committed to upholding the system of administration of justice that is prescribed by the General Assembly. 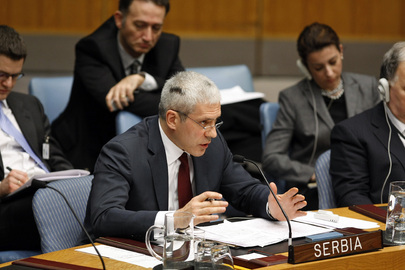 UNITED NATIONS, May 17 -- "Kosovo cannot tolerate any longer so much lawlessness, " Skender Hyseni, Foreign Minister of Kosovo, told the Press on Monday. Inner City Press has asked Hyseni about this government's move last month to disable the repeaters of Telekom and Telenor, two Serbia-based cell phone companies, from providing service south of the Ibar River. "Any company which seeks a license will be duly considered and eventually honored," Hyseni said. Video here, from Minute 2:50.
Who provides cell service is a politically charged issue. 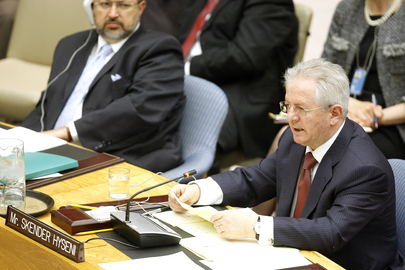 Currently, according to Hyseni, 68 countries recognize the unilateral declaration of independence of Kosovo. He predicted the number will grow after the International Court of Justice rules on Serbia's case, which he said will be soon. The Serbs argue that regulating telecommunications should still be the responsibility of the UN, under Resolution 1244. After a Security Council meeting Monday about Kosovo, Russian Ambassador Vitaly Churkin came out smiling. "Resolution 1244," he told the Press as he passed. Inner City Press asked Serbian Foreign Minister Vuk Jeremic to, like Hyseni, take questions at the stakeout. Jeremic shook his head. "It was a good session," he said, gesturing back at the Council. Last Kosovo debate in January, Boris Tadic similarly declined to take questions. Jeremic on Monday might have been asked about the mass grave recently found in Southern Serbia, or whether Kovoso's participation in the upcoming EU - Wester Balkan conference in Sarajevo connotes increased recognition of the UDI. Perhaps he would have wanted to call for the ouster of Kosovo transportation minister Fatmir Limoj, whose office was recently raided by EULEX. Hyseni when asked by Inner City Press declined to speak on this, saying that the judiciary in Kosovo is independent, and that questions of corruption should be kept separate from "projects." Video here, from Minute 4:16. But if the alleged corruption was in the procurement for the project, how can they be separate? Watch this site. UNITED NATIONS, January 22 -- When Kosovo comes before the UN Security Council these days, each time it is with more and more of a whimper. Friday Serbian President Boris Tadic, in the Chamber, spoke darkly of a "final solution" being imposed on northern Kosovo. But he declined to speak to the press when he emerged. His entourage prepared to leave, then turned back into the UN. When the Press tried to follow the entourage into the now empty Delegates' Lounge, a Serb Mission staffer stood in the way. You cannot come in, she said, later clarifying that Tadic was only using the bathroom. "Then he has to leave, to come to our party then fly back to Belgrade." Meanwhile, Kosovo's Skender Hyseni, after lowering the UN microphone to his height, ridiculed Tadic's arguments. Inner City Press asked about Tadic's statement that elections not called by the UN Mission, UNMIK, are illegal. Hyseni said that the authorities in Belgrade have also opposed any election called by UNMIK. Video here, from Minute 7:36. Inner City Press asked about Tadic's remark that the International Civilian Office under Peter Feith is trying to impose a "final solution." Hyseni wouldn't repeat the phrase, calling it a "final whatever," and saying it would be "irrational" to comment on that. He said the ICO is a "European accredited mission to Kosovo." Then, coughing, he left the stakeout. The UN's Special Representative never appears, and no Council member came and spoke to the Press. Meanwhile, while the case of Kosovo is pending in the International Court of Justice, three more countries have recognized the unilateral declaration of independence of Kosovo: New Zealand, Mauritania and Malawi. As Tadic put it, that still means that 127 nations respect Serbia's territorial integrity. But for how long? Especially when Serbia doesn't make its case to the press? Minister Vuk Jeremic was there in the entourage, fresh from profile in the Grey Lady, but didn't want to upstage his President. But he shouldn't have let Hyseni upstage him either. Strange diplomacy. Footnote: during the Council debate, multiple references were made to whether Serbs in northern Kosovo pay their electricity bills, and to whom. The privatization of Kosovo Electricity, however, was not discussed.... In the emptying UN, last one here, turn the lights out.